If your installation is running as Remote Base Server you have to specify a TCP Port your applications is "listening" to for incoming connects and requests. Enter a Host Name that will be shown when your client connects to the server. 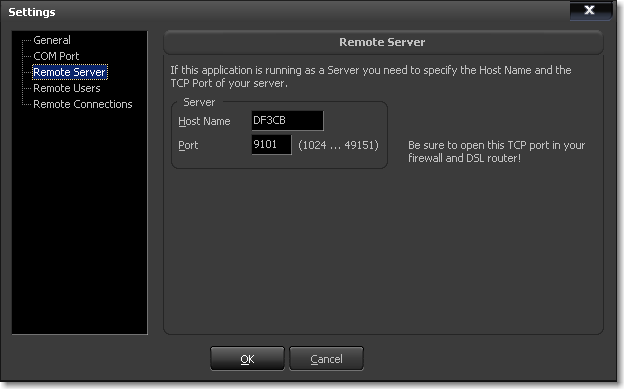 Valid ports can be 1024 to 49151. Ports below 1024 are reserved. Be sure to open this TCP port in your firewall and in the DSL router setup! Otherwise the application won't receive any connects.